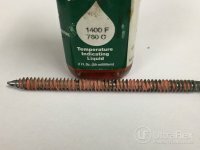 Heat the threads of a 178mm (7”) long magnetic steel fastener to (900◦C) 1650◦F in less than 10 seconds. 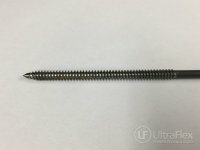 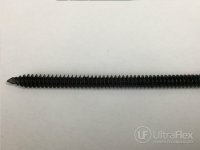 • 178mm (7”) long magnetic steel screw, Thread length measures 102mm (4”), approximately 6.4mm (0.25”) thick. 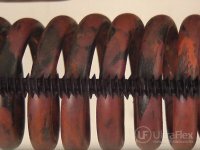 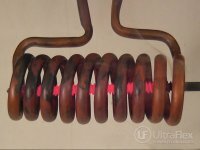 The induction heating system was used to verify material quality on steel screws. 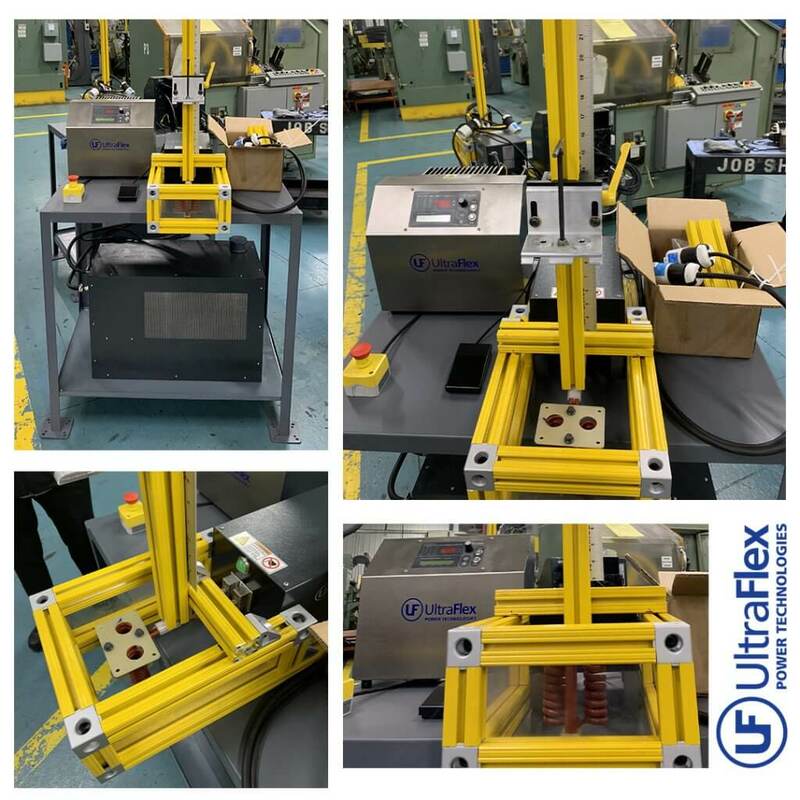 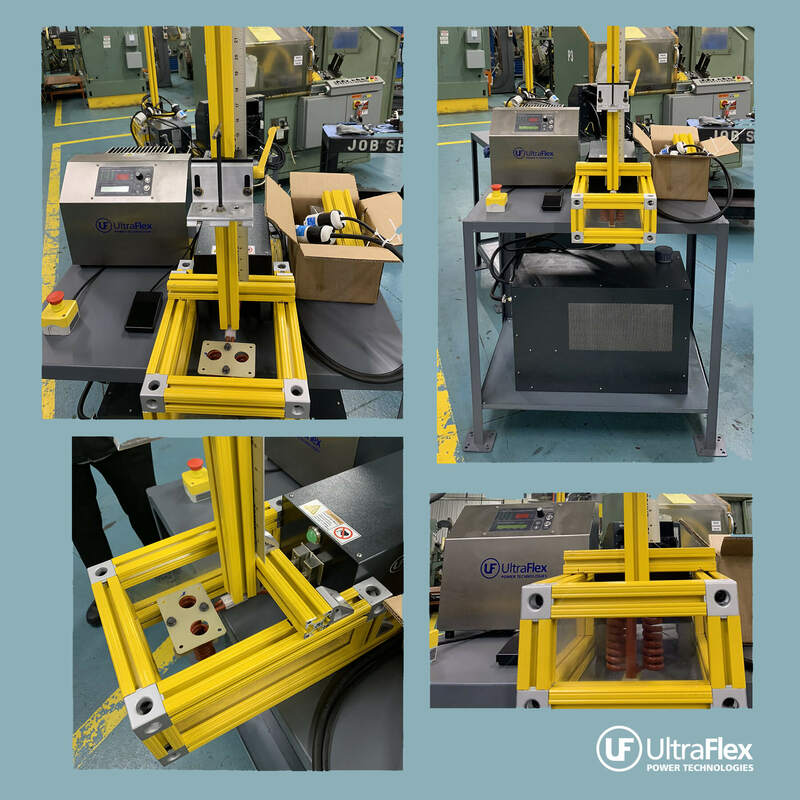 The customer is taking samples from production line (screws), heating them to (900◦C) 1650F using the Ultraflex 5 kW and dropping into a water quench for stress testing. 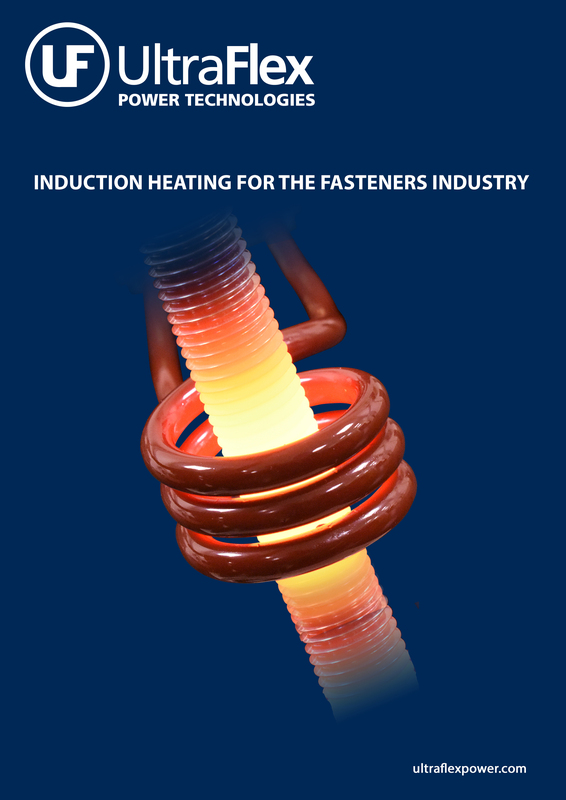 Heat time can be further reduced if heating a smaller length of the fastener and by using an optimized coil design. 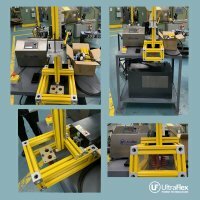 This allows for the customer to verify material quality and lot conformance, a vital component of the manufacturing process.